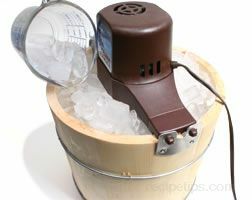 A type of cream with a minimum of 48% milk fat, rating it as one of types of Cream with the second highest butterfat content. Double Cream is very rich in flavor and thick in consistency, for use on fruit desserts, fruit salads, and a variety of sweet desserts. 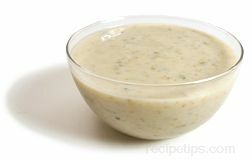 The Creams with higher fat contents such as Clotted and Double Creams are often added to savory food dishes such as cream soups or risotto to deepen the richness of the flavors. 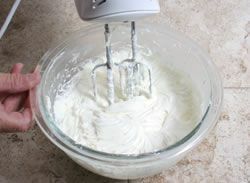 However, if either type is to be used for whipping, caution must be taken to not excessively whip the Cream which will cause it to become too heavy in texture or turning it into butter, or creating a mixture that seperates. 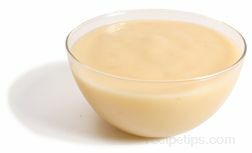 In order to keep the cream more fluid and light, some suggest adding 1/2 ounce of milk for each 8 ounces (1 cup) of Cream. 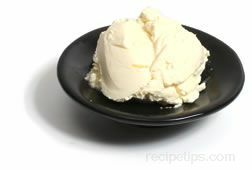 Double Cream is a good Cream for use in cooking since it can be boiled without separating due to the high fat content within the Cream. 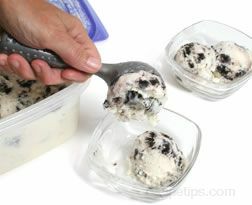 Also, Double Cream can be frozen so for longer storage. In Europe a second type of Double Cream is referred to as Extra-Thick Double Cream. 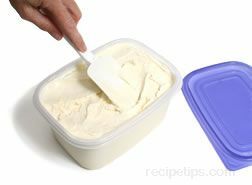 This is a Cream that has been homogenized to create a thick texture which is not pourable but is used as a spooning Cream.